SEO and CRO: How Do These Digital Marketing Disciplines Work Together? The combativeness is based around a misunderstanding of both SEO and CRO, not to mention digital marketing as a whole. So today I am going to talk about how that misunderstanding came about, why it’s untrue, and what you should focus on instead. SEM and CRO are both facets of digital marketing, but if you just went off headlines, you might get the idea that they are two methodologies for arriving at the same thing. Not so. Digital marketing, when you trim away all the fat, has just one goal: to make money. That’s true for all marketing, really. Any and all marketing strategies are simply means to that end. But here’s where the confusion starts. CRO’s focus is on maximizing conversions, be they purchases, quotes, or email signups. One of the best ways to achieve this is through landing pages—pages that are hyper focused on getting a conversion. Because of that focus, landing pages are often short—to prevent attention fatigue—and visual—because the brain responds to pictures faster than words. By contrast, SEM’s (search engine marketing’s) focus is mostly around getting pages to rank high in search engines, whether that’s through paid ads or organic search. I’m generalizing, but the best things for SEO tend to be length and completeness of information on a page. So, to an inexperienced digital marketer, it seems like there is a choice to be made: make a page visual and concise so it converts, or make a page wordy and long so it ranks. For any digital marketing strategy to succeed, you need both SEM and CRO to work together. Search is a massive channel through which people discover answers to things they have questions to. Ignoring it would be tantamount to ignoring television ads in the 1960s and ‘70s. And without conversions, the internet would have practically no capacity to generate any revenue at all. What actually happens is that SEM and CRO operate as a sort of digital marketing one-two punch. Focusing on search gets your website and content in front of the people who want to see it. But once someone clicks from a search listing to your website, SEM’s job is done. A website’s search appearance doesn’t matter once you’re actually on the site, after all. Once a user is on your site, what matters is how optimized for conversion it is, which is when it’s CRO’s turn to deliver. The first searcher could be looking for any number of things—information on how to start an SEO company, pricing, comparisons between the different companies. They could also be looking to purchase SEO services, which is what a marketer would want. But given the vagueness of the term, it’s pretty much impossible to say that definitively. The second phrase, on the other hand, clearly signifies some desire to purchase digital marketing services within a specific area. If you were selecting keywords, you would be silly not to pick the second one as a target. All this to say, SEM cares a lot about convertibility. Not to mention that conversions are a key statistic tracked in SEO anyway. Thus, SEM has a focus on conversions from the very start. So, should search engine marketers only focus on phrases that seem likely to convert? Not exactly, and here’s why. The second phrase clearly signals intent. 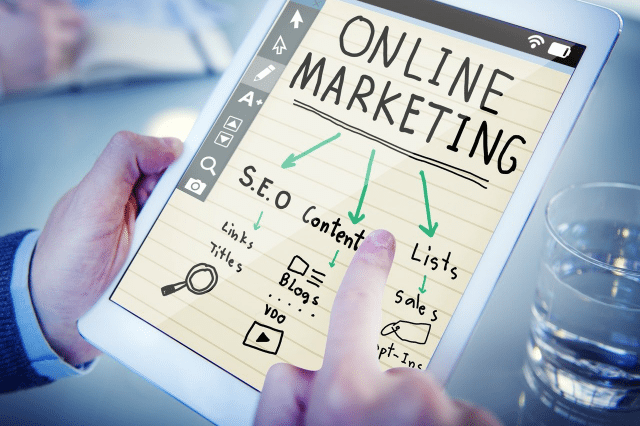 The first one expresses an interest in the benefits SEM offers a company (an increased search presence), but it also signals an interest in learning how to improve the online presence oneself. Seeing that the searcher of the first phrase would rather learn by themselves than hire out marketing service, the naive search engine marketer will ignore it completely. However, that omits an important part of the sales process: trust. Consider Moz. Moz is a thought leader in the SEO field that sells a suite of SEO tools called Moz Pro. They are one of the best sources for SEO-related information on the internet. And they blog about SEO. A lot. Given what they sell, it makes perfect sense. If people are looking for SEO tools, they’re also probably looking to learn more about SEO or for ways to make the SEO process easier. Even so, much of Moz’ content is purely informational. By that, I mean that the content has a weak (or no) call to action, and it isn’t based around a keyword that is likely to convert. But that informational content builds trust with its readers. And that trust is extremely important in getting conversions. In fact, Moz found that on average, someone visits their site around 7 times before they sign up for a free trial of Moz Pro. Of those 7 visits, 5 of them are to the blog. What’s more, Moz found that when someone visited their site fewer than 7 times, that person was much more likely to let their free trial expire without becoming a paying customer. So remember, informational content has value, too. Conversion-optimized pages have a reputation for being short. That’s because when you strip away all the fluff, what’s left is usually a clear and concise invitation to convert. But long content can also convert. Consider a Neil Patel experiment where he hired a CRO firm to optimize his (small) homepage for conversions. They made it bigger—much bigger—and ended up increasing conversions by 30%! Then, Neil hired CopyHackers to further increase his homepage’s convertibility. The end result was a page that was 60% smaller than the massive homepage before, and it further increased conversions by another 13%. All this to say, short or long doesn’t necessarily predict a page’s ability to convert. You can go long or short so long as you have a strategy in place. As a marketer, you shouldn’t care about traffic alone. 100,000 visits a day don’t matter if none of those visits convert (unless your website makes money from ad revenue, but then you probably know what you’re doing already). All you should care about is qualified traffic. If you’re getting a lot of traffic but few conversions, it might be time to reexamine your search efforts and go for more qualified traffic. If you get lots of qualified traffic but it doesn’t convert, it’s time to start looking at the architecture of your pages and examining what it is that’s getting rid of your customers. But either way, SEM and CRO are inseparable parts of an overall digital marketing strategy. So make sure you have one. For more articles like these, make sure you subscribe to our email list!